Potential risks associated with air cargo security include: introduction of explosive and incendiary devices in cargo placed aboard aircraft; and shipment of undeclared hazardous materials aboard aircraft. Experts have warned that air cargo may be a potential target for terrorists because screening and inspection of air cargo is currently not as extensive as required for screening of passengers and checked baggage. Cargo carried aboard passenger aircraft may be at particular risk since passenger aircraft are generally regarded as highly attractive targets to terrorists. Virtually every passenger flight is carrying some freight along with the passengers and their baggage. Commercial airlines make a significant percentage of their revenue from hauling cargo. The technology used for cargo screening is obviously much larger than that used on baggage systems, but is essentially the same. Medium-sized equipment in this category has openings large enough to accept palletised cargo. Mobile X-ray systems carried by large trucks can scan cargo housed in large vehicles by driving slowly alongside the parked vehicle. There are also building-sized X-ray scanners designed so that tractor-trailers can pull into the building, park on a platform and undergo examination. With experts in general agreement that it is question of ‘when’ and not ‘if’ a terrorist attack occurs involving some part of the cargo transportation infrastructure, all those involved in the international cargo industry must take action to ensure their operations are as secure as they can be. Public perception is that cargo is subject to extremely rigorous controls and that the regulations governing this sector are very strict, but there are still many areas that need to be improved. The circulation of cargo has always been difficult to understand by an outsider. However, today’s widespread use of the internet provides free and easily accessible information on just anything for those interested. The cargo industry is no exception. Bearing in mind the fact that the terrorist’s first purpose is finding ways to breach security, we must be prepared. Nowadays, there are several approved screening methods for cargo such as X-ray, hand search, flight simulation (including decompression) and canine olfaction, which are used worldwide on a daily basis for detecting hazardous substances and threat items. However, these methods cannot be deemed 100% reliable. For example, procedures involving x-rays still depend very much on human interpretation of images. The difficulty in detecting a threat item in a 50 cm x 50 cm passenger bag is relatively low, compared to a 1,5m x 2m piece of cargo, for example. It is extremely difficult to find an IED in such a large item. 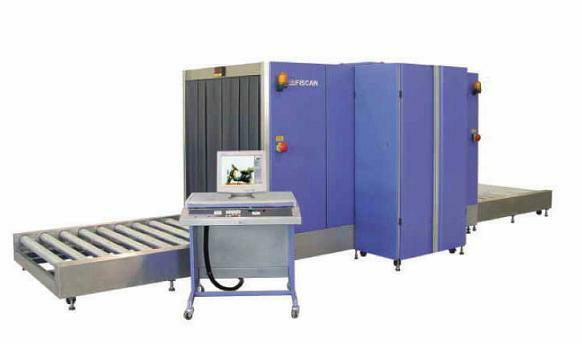 Numerous technologies are being tested in an attempt to identify effective and operationally efficient screening approaches for the total air cargo stream.